Today at 12:30 PM EST, an amount which is more than 5 million pounds of thrust erupted into the ground of the historic launch complex 39 A at Florida's Kennedy space center, where Space X conducted this static fire test at Falcon heavy rocket. Chris Gebhardt says "like nothing I have ever experienced before", who did live streaming of the test. When this flies, it will be the most powerful rocket in the world. With the rocket held on the launch pad, they ran all the 27 Merlin engines for 12 seconds, and that is a big deal in aerospace. If Space X wants to do a launch by not conducting any more test runs, we can expect the launch to be held in less than a week. 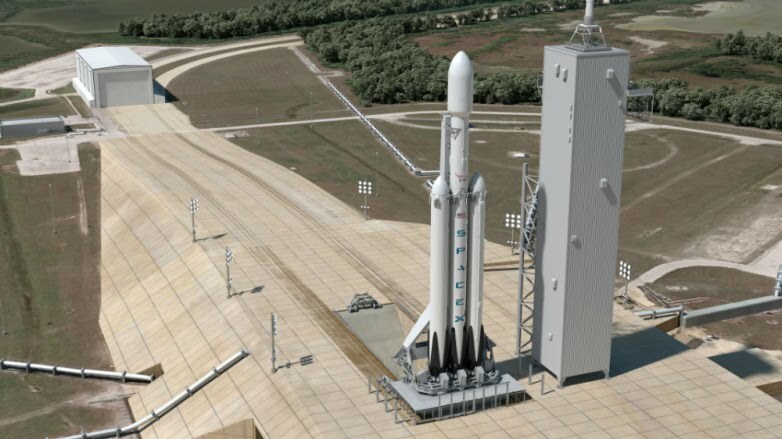 Without being able not to get side tracked, Space X could able to make the run affected by US Government shutdown.